Club Loose II is proud to announce it has a new home for 2012. These 5 events are being run by John Wagner and Jimmie Caldwell at Midvale Speedway in Midvale, Ohio. The track is a 3/10 mile oval with a figure eight infield. It also has enough seating to hold 3000 spectators. This is going to be an amazing year for Club Loose and Club Loose II. We hope to see all you faithful followers at ALL the Club Loose events. 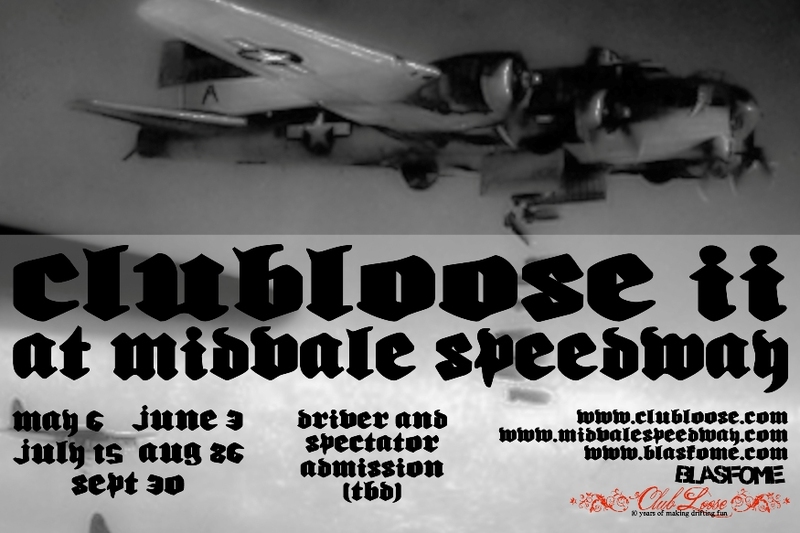 For more information and other event dates at Midvale Speedway please go to www.midvalespeedway.com. Pricing will be $75(pre-registration) or $85(at the gate) to drive. $15 to spectate. All rules and regulations can be found here: 2012 Rules. 2012 just keeps getting better. See you guys at the track. Next Post NEXEN and Club Loose together for 2012!